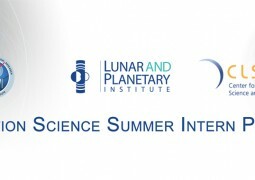 NASA’s Solar System Exploration Research Virtual Institute takes great pride in the annual student poster competition. The Student Poster Competition provides motivation, encouragement, and most of all, recognition to the most promising scientists of the future. Students presented posters at the Exploration Science Forum, held June 26-28, 2018 at Ames Research Center, Moffett Field, CA. The contest was very competitive with high-quality submissions. Selection criteria included the originality of the research, quality and clarity of the presentation—including accessibility to the non-expert, and impact to science and exploration. 1st, 2nd and 3rd place winners and honorable mention receive a $1000 travel grant. Selections were made by votes of a committee of scientists and SSERVI management. Congratulations to these winners and to everyone who participated in the competition. We look forward to seeing additional innovative student research in the next Student Poster Competition. On behalf of NASA SSERVI, many thanks for your outstanding contributions to the 2018 NASA Exploration Science Forum!